Sommaire: Cet article décrit la naissance et le développement de la Louisiane sous le régime français depuis la découverte du Mississippi par les Espagnols jusqu'à la vente finale par Napoléon aux Américains. On y discute de la prise de possession de la Louisiane par les Français, de l'exploration détaillée du bassin versant du Mississippi par les explorateurs français et canadiens, de la colonisation française et de la transition aux Américains. Many people have forgotten that New France at its peak at the beginning of the 18th century was an empire made up of four quasi-independent colonies under the more or less real authority of a Governor General located in Québec City and acting for the central French government: Plaisance ( today Newfoundland); Acadia (north-east Maine, Prince Edward Island, Nova Scotia and New Brunswick); Canada (present-day Québec, Labrador, Ontario to the Canadian Prairies, and the adjacent American territory down to the Ohio River); and finally French Louisiana which is the specific subject of this article. French Louisiana was an enormous territory which extended over the whole Mississippi River basin from the Gulf of Mexico in the South to the current Canadian border in the North, from the Appalachian Mountains in the East to the Rocky Mountains in the West. The shape of this territory can be explained easily if one remembers that it was discovered and explored by French or French-Canadian explorers travelling mostly by canoes following the river systems. Today, this entity would cover the territory of about 23 states of the present USA (see the map below). The Spaniard Hernando de Soto was the first in 1542 to reach the lower Mississippi River from the East about where Memphis stands today. But his belligerent passage was opposed by the Indians and he died during the expedition. The river was not explored again by white men until 1673 after Jean Talon, Intendant of New France, ordered the Canadian Louis Jolliet to launch from Québec City and explore a huge river about which the French had vaguely heard from the Indians. After making appropriate arrangements for the trip at Fort Michilimackinac at the head of Lake Michigan, Joliet set out in May 1673, accompanied by Father Jacques Marquette, seven men and two canoes. First they headed West, along the north shore of Lake Michigan, and the west shore of Green Bay. They then followed the Fox River down to a Musketoon village where they learnt of a short portage three leagues farther towards the Wisconsin River. After crossing the portage, they canoed down the Wisconsin River to the Mississippi River which they reached on 15 June. So far, they had travelled 800 kilometres, including 200 on the Wisconsin River. They travelled southward for 10 days without meeting anybody. They finally arrived at an Indian village at the junction with the Iowa River where they were well received by an Illinois tribe. In September 1673, they reached successively the junctions of the Missouri and Ohio Rivers, two large tributaries of the Mississippi River. At the mouth of the Ohio River, they had travelled nearly 2,000 kilometres. They dared not go farther because the Indians were showing signs of hostility and they decided to turn back. Their expedition ended therefore short of the border between present-day Arkansas and Louisiana. There was still 1,100 kilometres to go before reaching the mouth of the Mississippi River on the Gulf of Mexico. Nearly 10 years later in January 1682, Robert Cavelier de La Salle, departing from Montréal, travelled down the Mississippi River with 23 Frenchmen and 18 Indians. In February, they reached the site of present-day Memphis, where La Salle established a small fort named Prud'homme. Cavelier de La Salle and his men finally reached the Mississippi Delta on 6 April. On 9 April, near present-day Venice (Louisiana), he officially took possession of this new territory explored in the name of the king of France and named it "Louisiane" in honour of King Louis XIV; he thus became the founder of French Louisiana. However, the true beginning of French settlement in Louisiana did not occur until 1697 under the leadership of Canadian Governor Pierre Le Moyne d'Iberville who founded Biloxi and made it the first capital city of Louisiana. His brother, Jean-Baptiste Le Moyne de Bienville, carried on his work and founded Mobile in 1702, then Nouvelle-Orléans in 1718. This budding settlement of Louisiana reinforced the French presence and encouraged discovery expeditions throughout the whole Mississippi River basin. Let us mention briefly the major expeditions. In 1714, Canadian Louis Juchereau de Saint-Denis took off from Port-Dauphin (Mobile) to explore the Natchitoches region; he reached Presidio del Norte on the Rio Grande and connected with the Spaniards. He submitted his credentials in Mexico City to the Duke of Linares, Viceroy of Mexico. In the same period, Étienne Véniard de Bourgmont explored the Kansas and Platte rivers in Nebraska; later, he travelled up the Missouri River on which he established Fort Orléans 250 km away from the Mississippi River. Finally, he canoed up the river to Comanche country in South Dakota. In 1716, Bienville explored Natchez country and set up Fort Rosalie, and then in 1717, he raised Fort Toulouse in Alabama land. During this time, Bénard de La Harpe explored the upper Arkansas Valley to the Rocky Mountains. In 1718, Pierre du Gué, sieur de Boisbriand, established Fort Chartres in Illinois country, at the junction of the Mississippi and Kaskaskia Rivers. The Paris Peace Treaty of 1763, which put an end to the Seven Year War, granted all the Louisiana territory on the east bank of the Mississippi River to the British. French Louisiana was left with the territories on the west bank of the Mississippi all the way up to Canada and in the river delta on the Gulf of Mexico. Three years later in 1766, the French government in a weak financial and diplomatic position entered into a secret treaty with Spain by which the latter was given sovereignty over the remaining French Louisiana, a situation which lasted from 1766 to 1803. 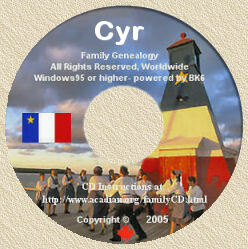 During this period, Louisiana population rose from 12,000 to 50,000 inhabitants, mostly French, Canadians or Acadians. This large increase can be explained by the arrival of numerous Acadian deportees after 1755, of Frenchmen fleeing the French Revolution of 1789 and of Creoles fleeing Haiti's revolution of 1791. In 1803, the Spaniards returned Louisiana to France then governed by Emperor Napoléon, who was in dire financial straits and saddled with difficult strategic issues on the European continent. He understood readily that he could not defend Louisiana against the Americans to whom he owed a lot of money. After rather hasty negotiations, he sold Louisiana to the Americans for about 15 million dollars. On 20 December 1803, the American flag was flying over Louisiana. In 1804, the Americans divided Louisiana in two entities: Upper Louisiana, North of the 33rd parallel, became the Louisiana Territory under Governor Claiborne; Lower Louisiana, South of the 33rd parallel, became the Orléans' Territory. On 8 April 1812, the latter territory joined the American Union and became the State of Louisiana with a first constitution drafted in French and English. Canadian participation in the territory's exploration continued even after the American takeover. For example, the famous Lewis and Clark expedition to the Pacific coast was made possible thanks to the presence of Canadian and Indian guides. Worth mentioning are Canadians Pierre Dorion, Toussaint Charbonneau and his Indian wife, François Labiche and Georges Drouillard, whose knowledge of Indian languages and territory and hunting skills were essential to the success of the expedition. France was very well served by her pioneers, discoverers, explorers, missionaries, settlers and trappers in North America. Beyond their audacity and their evident moral and physical courage and hardiness, these individuals seemed possessed with a strategic vision of the French presence in America and had the intelligence to establish generally good relations with Indian tribes, without which the penetration of this enormous continent on such a large scale by such a small band of largely unarmed men would have been unthinkable. To the contrary, France was badly served by the royal metropolitan government, which was obsessed with its European dynastic wars and showed little understanding of the conditions essential to the creation and the maintenance of an overseas empire. If the skills of the ruling class had been on a par with those of the people on the ground, the fate of North America could have been very different. However that may be, descendants of these French pioneers can be proud of the traces left by their ancestors across the face of North America--traces that are still visible today all over the continent and are still alive in many regions of the United States and Canada. Beaucoup de gens ont oublié que la Nouvelle-France à son apogée au début du XVIIIème siècle était la dénomination recouvrant quatre colonies quasi-indépendantes sous la direction plus ou moins théorique d'un gouverneur-général sis à Québec et agissant pour le gouvernement métropolitain de la France : Plaisance (aujourd'hui Terre-Neuve); l'Acadie (la partie nord-est du Maine, l'Île-du-Prince-Édouard, la Nouvelle-Écosse, et le Nouveau-Brunswick); le Canada (le Québec actuel, le Labrador, l'Ontario jusqu'au Winnipeg d'aujourd'hui, et le territoire américain adjacent jusqu'à la rivière Ohio) et finalement la Louisiane française qui fait l'objet particulier de cet article. La Louisiane française était un énorme territoire qui s'étendait sur tout le bassin versant du fleuve Mississippi du golfe du Mexique au sud à la frontière actuelle du Canada au nord, des contreforts des Appalaches à l'est aux contreforts des Rocheuses à l'ouest. La forme de ce territoire se comprend bien si l'on sait qu'il fut découvert et exploré par des explorateurs français ou canadiens (-français) voyageant surtout en canot et suivant les cours d'eau. Cette entité comprendrait aujourd'hui le territoire d'environ 23 des États américains actuels. Voir la carte ci-jointe. C'est l'Espagnol Hernando de Soto qui fut le premier à atteindre le Mississipi inférieur à la hauteur de Memphis à partir de l'est, mais son passage belliqueux fut repoussé par les Indiens et il mourut pendant l'expédition. Il faut attendre 1673 pour que le cours du fleuve soit exploré à nouveau par des Blancs. Sur l'ordre de Jean Talon, intendant de la Nouvelle-France, le Canadien Louis Jolliet part de Québec pour explorer le fleuve dont on a vaguement entendu parler par les Indiens. Après avoir préparé son voyage en détail au Fort Michillimackinac, il se met en route en mai 1673, accompagné du père Jacques Marquette, de sept hommes et de deux canots. Ils se dirigent d'abord vers l'ouest, longeant la rive nord du lac Michigan puis la rive occidentale de la baie des Puants (Green Bay). Puis, ils descendent la rivière aux Renards jusqu'au village des Mascoutins. Là, ils apprennent l'existence, trois lieues plus loin, d'un affluent du Mississippi. Ils font donc du portage jusqu'à la rivière Wisconsin. C'est en la descendant qu'ils atteignent le Mississippi le 15 juin. Jusqu'alors, ils ont fait 800 kilomètres dont près de 200 sur la Wisconsin. Pendant dix jours, ils continuent vers le sud sans rencontrer âme qui vive. Ils arrivent à leur premier village indien, à l'embouchure de l'Iowa. Il s'agit d'une tribu d'Illinois qui les reçoivent bien. En septembre 1673, ils sont les premiers Blancs à traverser la rivière Chicago. Puis ils découvrent l'embouchure du Missouri et de l'Ohio, deux affluents du Mississippi. À l'embouchure de l'Ohio, ils ont déjà parcouru près de 2000 kilomètres. Ils n'osent continuer plus loin, les Indiens devenant hostiles. Craignant de tomber entre leurs mains, ils décident de rebrousser chemin. Le voyage se termine donc en deçà de l'actuelle frontière de l'Arkansas et de la Louisiane. Il leur restait 1100 kilomètres à parcourir avant d'atteindre l'embouchure du Mississippi. Presque 10 ans plus tard, en janvier 1682, Robert Cavelier de La Salle, parti de Montréal, descend le Mississippi avec 23 Français et 18 Amérindiens. En février, ils atteignent Memphis, où La Salle fait ériger le petit fort Prud'homme. Cavelier de La Salle et ses hommes atteignent le delta du Mississippi le 6 avril. Le 9 avril, près de l'actuel Venice, il prend officiellement possession du territoire découvert au nom du roi de France et le nomme "Louisiane" en l'honneur du roi Louis XIV; il devient ainsi le fondateur de la Louisiane. Mais il faut attendre 1697 avant qu'un début de colonisation française s'effectue en Louisiane d'abord sous la gouverne du Canadien Pierre Le Moyne d'Iberville, qui fonde Biloxi et en fait la capitale de la Louisiane. Son frère, Jean-Baptiste Le Moyne de Bienville, continue son uvre et fonde Mobile en 1702, puis la Nouvelle-Orléans en 1718. Ce début de colonisation de la Louisiane renforce la présence française et encourage les expéditions de découverte dans tout le bassin versant du Mississipi. En 1714, le Canadien Louis Juchereau de Saint-Denis part de Port-Dauphin (Mobile) pour explorer le pays des Natchitoches; il se rend jusqu'au Presidio del Norte sur le fleuve Rio Grande et fait jonction avec les Espagnols. Il présente ses lettres de créance à Mexico au duc de Linarès, vice-roi du Mexique. Dans le même temps, Étienne Véniard de Bourgmont explore la rivière Kansas et la rivière Platte dans le Nebraska; plus tard, il remonte le Missouri et établit le fort Orléans sur le Missouri à 250 km du Mississippi. Finalement, il remonte jusqu'au pays des Padoucas dans le Dakota du Sud. En 1716, Bienville explore le pays des Natchez et fonde le fort Rosalie, puis en 1717, le fort Toulouse au pays des Alibamas (Alabama). Dans le même temps, Bénard de La Harpe explore la haute-vallée de l'Arkansas jusqu'aux Rocheuses. En 1718, Pierre du Gué, sieur de Boisbriand, établit le fort de Chartres au pays des Illinois, à la jonction du Mississippi et de la rivière Kaskaskia. Le traité de Paris de 1763 qui mettait fin à la Guerre de Sept-Ans, adjugea tout le territoire de la Louisiane sis sur la rive orientale du Mississippi aux Anglais; il ne restait donc en propre à la Louisiane que les territoires occidentaux du bassin versant du Mississippi jusqu'au Canada ainsi que le delta donnant sur le golfe du Mexique. Trois ans plus tard en 1766, le gouvernement français se trouvant dans une mauvaise passe, il conclut un traité secret avec l'Espagne lui transférant tout le territoire restant de la Louisiane. C'est ainsi que les Espagnols furent en possession de la Louisiane occidentale de 1766 à 1803. Pendant leur tenure, la population de la Louisiane passa de 12 000 à 50 000 habitants, en majorité français, canadiens ou acadiens. L'arrivée de nombreux déportés acadiens après 1755, de Français fuyant la révolution française de 1789 et de Créoles fuyant celle d'Haïti en 1791 expliquent la vigueur de cette expansion. En 1803, les Espagnols retournent la Louisiane occidentale à la France gouvernée par Napoléon Ier. Celui-ci, endetté et pressé par des soucis stratégiques européens, comprend qu'il ne pourra défendre la Louisiane contre les Américains à qui il doit beaucoup d'argent. Après des négociations rapides, il vend la Louisiane aux Américains pour environ 15 millions de dollars; le 20 décembre 1803, le drapeau américain flotte en Louisiane. En1804, les Américains divise la Louisiane en deux : la Haute-Louisiane au nord du 33è parallèle, devient le Territoire de la Louisiane sous le gouverneur Claiborne; la Basse-Louisiane au sud du 33è parallèle devient le Territoire d'Orléans. Le 8 avril 1812, ce territoire rejoint l'Union américaine et devient l'État de Louisiane avec une première constitution rédigée en français et en anglais. La participation canadienne à l'exploration du territoire a continué même après la prise en charge américaine. Par exemple, la fameuse expédition de Lewis et Clark a été rendu possible grâce aux guides canadiens et indiens; mentionnons entre autres, les Canadiens Pierre Dorion, Toussaint Charbonneau et son épouse indienne, François Labiche et Georges Drouillard dont la connaissance des langues indiennes et du territoire et leurs aptitudes de chasseurs furent essentielles au succès de l'expédition. La France a été fort bien servie par ses pionniers, découvreurs, explorateurs, missionnaires, colons et coureurs des bois sur le territoire nord-américain. Outre l'audace et le courage physique et moral nécessaires à leur entreprise, ceux-ci semblaient être saisis d'une vision stratégique de l'aventure française en Amérique et eurent l'intelligence d'établir généralement de bons rapports avec les tribus indiennes; sans quoi la pénétration de cet énorme continent sur une si vaste échelle par un si petit groupe d'hommes aurait été impossible. Mais la France a fort mal été servie par le gouvernement royal métropolitain, qui était obnubilé par les guerres européennes et ne comprenait pas les facteurs essentiels à la création et au maintien d'un empire outre-mer. Si l'adresse des gouvernants avaient été à la hauteur des efforts sur le terrain, le sort de l'Amérique du Nord aurait pu être fort différent. Quoi qu'il en soit, nous les descendants de ces pionniers français devons être fiers de la trace qu'ils ont laissé sur l'Amérique du Nord, trace qui est visible partout sur le continent pour celui qui sait regarder et vivace encore dans plusieurs régions des États-Unis et du Canada. Association des familles Thériault d'Amérique and author of this excellent article, for having provided me authorization to post this.